The 31st annual Oswego Harborfest is still looking for commercial, marketing and arts and craft vendors to showcase their merchandise to the nearly 100,000 people who attend the free-admission music festival that will take place the last weekend in July. Vendors will be situated in Breitbeck Park, Washington Square Park and Franklin Square Park. Vendors will be open for shoppers on Friday, Saturday, and Sunday during the festival in all of the parks and on Thursday in Breitbeck Park. 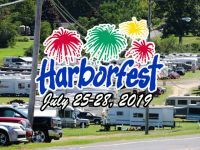 Applications have already been sent out to several vendors, and Harborfest encourages interested applicants to download an application and send it in as soon as possible. Applications can be found at the Oswego Harborfest website under the “Applications” tab. Harborfest is one of the few admission-free music festivals in the country. It was founded with the mission of creating nationally recognized festivals and events that attract and engage a broad and diverse audience, celebrate and build community, and advance economic development in Oswego, New York. 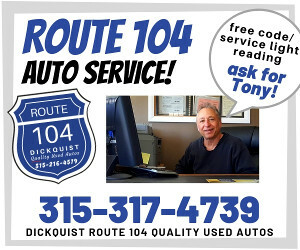 It would not be possible to continue the event without the massive continued support received from the City of Oswego, businesses, organizations, government entities, and individuals and family members. To learn more about vendor applications, about Harborfest itself, or to contribute to the support of this amazing region-wide event, visit our web site (www.oswegoharborfest.com) or contact the Harborfest Vendor Coordinator, Gretchen Hanley, at 41 Lake Street, Oswego, NY 13126 or via phone (315)-343-6858.